Tonight I’ve been working on the Russians. So I have 10 T34/76 tanks completed, some 122 mm artillery, some 76 mm artillery, and lastly a couple of 45 mm antitank guns. Next is to glue some sand on the bases, then wash the sand with a thin dark brown, then progressive dry brushing of lighter shades of brown up to almost a bone white. 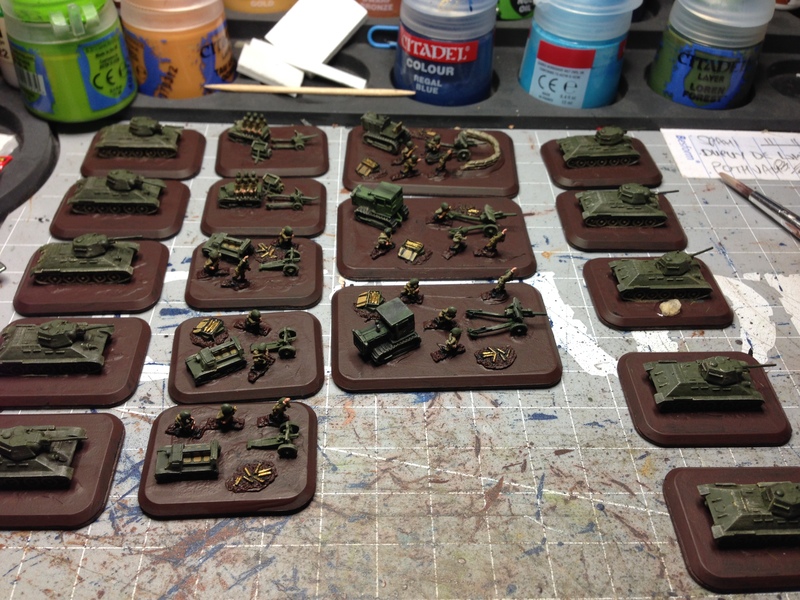 After that add flock to the base and the tanks and artillery are complete. Nice work Thomo, they really look great. Where did you get the shell boxes and spent cases from? Looking really good. I like them a lot.